To avoid any incorrectness in photographs, we recommend you to take the photograph service at our centre at a nominal price. It should be without border. It should have a white or light colored background only so that features are distinguishable and in contrast against the background. It should have a close up of your head and top of your shoulders so that your face takes up 70-80% of the photograph. 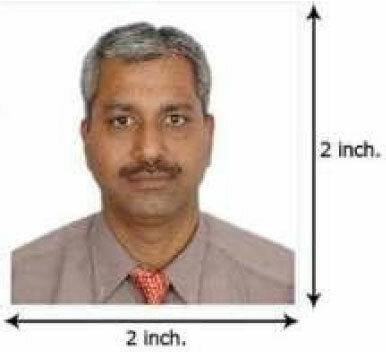 It should be 5 cm X 5 cm. It should show your skin tone naturally. It should be without the applicant's hair tucked behind his/her ears. It should be taken with uniform lighting and not show shadows or flash reflections on the face and no red eye. The photograph must only be visible of applicant (no toys, chair, etc.) looking at the camera with a neutral expression and mouth closed. The photograph should not have any staple marks. Scanned & color photocopies will not be accepted. In case of Malaysian Citizen, the document needs to be attested first by the Consular Section, Ministry of Foreign Affairs, Wisma Putra and then the attested document needs to submitted along with one copy and IC copy of the executant. The documents relating to POA need to be submitted by the executants. The original documents need to be attested by Ministry Foreign Affairs, Putrajaya. Submit along original and photocopy of documents. IC copy of directors if Malaysia citizen and passport copy of directors if not Malaysia citizen (Passport copy need to be attested by respective embassy before submission). Authorise letter if submission done by third party. The fee can only be paid in cash. Please be advised that the estimated processing times are mentioned below. However, the time taken to process an application also depends on the following factors such as; the city in which application was submitted, the city / country where the previous / old passport was issued, your current visa status, etc. The estimated processing time mentioned below does not include the time that the courier company will take to deliver the passport. Please keep in mind that incomplete applications will lead to a delay in the processing of an application, and all applicant(s) are requested to comply with any changes that may occur during this time. You are requested to make your travel arrangements only after receiving relevant service. BLS/HCI will not be liable for any claims of inconvenience/ penalties, applicant need to make changes in their travel plans owing to the delays and/or any inconvenience caused due to any rejections. Processing times mentioned do not include transit time by courier from the Collection Centre. Incomplete applications will lead to an increase in processing time and applicants will need to comply with any changes in the procedure that may occur during this time. BLS/HCI would not be responsible for any inconvenience/problems faced due to any rejections or delays. The processing time for Consular Service applications is one working day excluding the day of submission. Applicants can collect their documents on the third working day from the date of submission between 15:00 – 17:00hrs. You must submit an application for a passport with the relevant documentation and prescribed fee as listed on the application form, the application form can also be accessed by clicking here or download the same by clicking on the relevant form name given below.